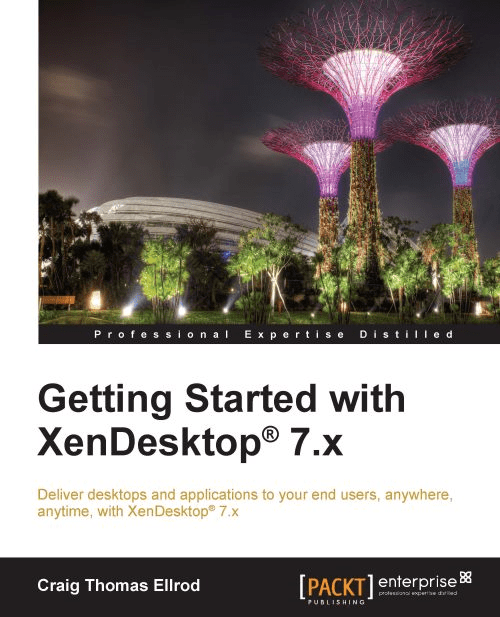 I did a book review for a recent title named “Getting Started with XenDesktop 7.x” for PACKT Publishers. The book content is primarily aimed to help out anyone who is going to start up on XenDesktop Administration. The content is essentially focused with practical exampling along with screenshots which gives a faster understanding about the technology for both fresh and experienced professionals to work with XenDesktop 7.x. We have made efforts to give a reasons for various options and their importance and optimal values to use in a real time setup to get start up your XenDesktop. There also been an addition of very useful tips/resources at all relevant topics. I strongly suggest/recommend this book for anyone who quickly wants to get their XenDesktop up and running. Govardhan Gunnala is a technical architect with a blend of cross-platform technologies, understanding and applying them to complex business requirements. He is a Microsoft- and Citrix®-certified professional specializing in server and application virtualization technologies. He is a skilled IT network security analyst and is highly regarded for sophisticated Perl and PowerShell scripting. He has designed and delivered various cloud software solutions based on web, Citrix®, and VMware technologies. He maintains the delivered solutions along with their operational auditing, automation, and simplification. He is also responsible for the data center architecture and network security administration. He earlier worked as a senior systems engineer and as a member of the IT systems. He is also a technical blogger and a corporate and institutional trainer with more than 8 years of experience in the IT software industry. You can follow his blog at http://gunnalag.com/ and can get in touch with him on http://www.linkedin.com/in/gunnalag. I would like to thank my intern students who have joined me to learn XenDesktop® and reiterated all the basic concerns and questions about the XenDesktop® technology from their perspective. p>You can find the book on “Getting Started with XenDesktop 7.x” and also available on Amazon.